As a mother of 2 boys who are always so energetic and fun to be with I have to come up with healthy menus and ofttimes spirited conversations. I try to keep them active and involved with sports so they keep their senses keen. I find this to be very important with kids, that they grow up in a nurturing environment that challenges their intellect and physical skills. I’ve noticed the change in behavior with my two sons especially when I transitioned from being just a blogging mommy to a more health-conscious one. I felt guilty at one point to be always staring in my screen typing away while they felt bored just watching movies all day one summer weekend. So I decided to do a little research of my own where I could possibly ignite their interest in becoming fit as well. My lightbulb moment came during one of my reminiscing when I used to look at my pictures playing soccer and attending jiu-jitsu lessons. I enjoyed both so much I knew that my boys will love them as well. 1. 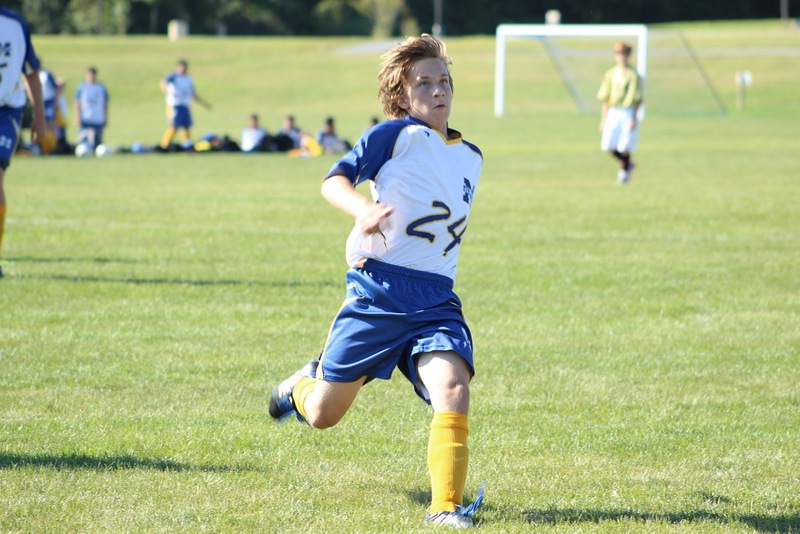 Soccer - it will develop their sense of others and earn social skills in a competitive environment. 3. Swimming - an all-round activity that encourages cardiovascular fitness and movement. Each year, I try to enroll them in different programs so we can both discover what interests them more and which they excel in. They also get to meet a lot of interesting people that would influence their perspectives in a good way. Of course, every experience is coupled with guidance. Like for example in jiu-jitsu classes, I explain to them that the purpose of learning the craft is not only for self-defense but also to learn self-control and respect of other’s limitations. It’s a wonderful world seeing your kids excel in and be interested in new activities. I especially love the bright eyed expressions on their faces when they meet me after with new stories of their experiences. Raising kids is not as easy as I have hoped as we always have to take their best interests to heart while taking care of our own. But it’s sure a fun ride while discovering at the same time that there is so much we can learn from them as well. AnnMarie John is a mom of four and lifestyle blogger at AnnMarieJohn.com where she writes on parenting issues, relationships, travel, shares recipes, crafts and Disney tips.